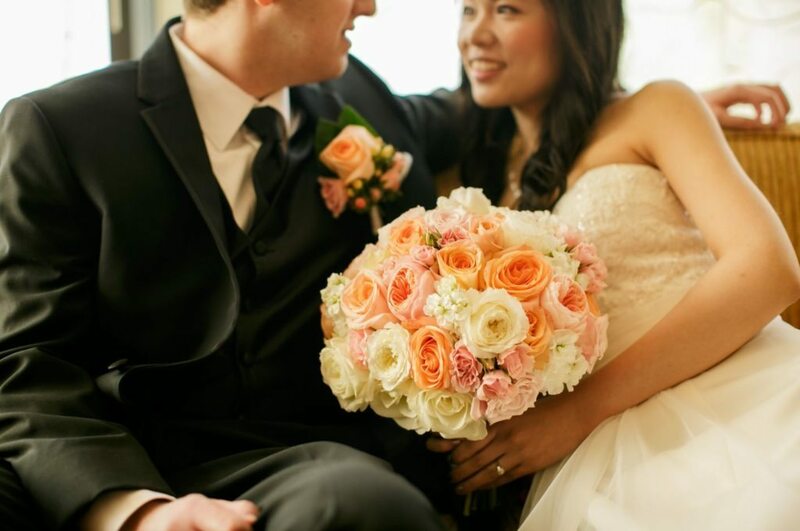 I love when a bridal calls me and says she has a beautiful color scheme of peach, coral, and blush pinks, especially during summer. 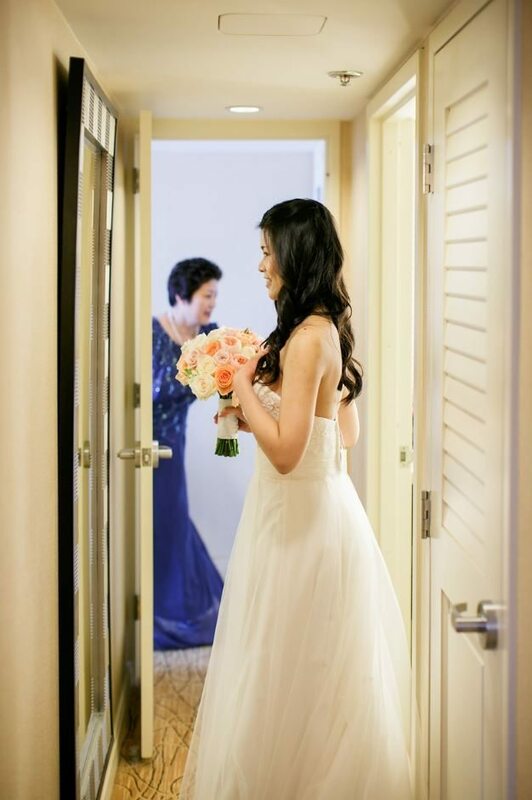 It’s such a lovely composition of colors that brighten the day, the dress, and the photos. 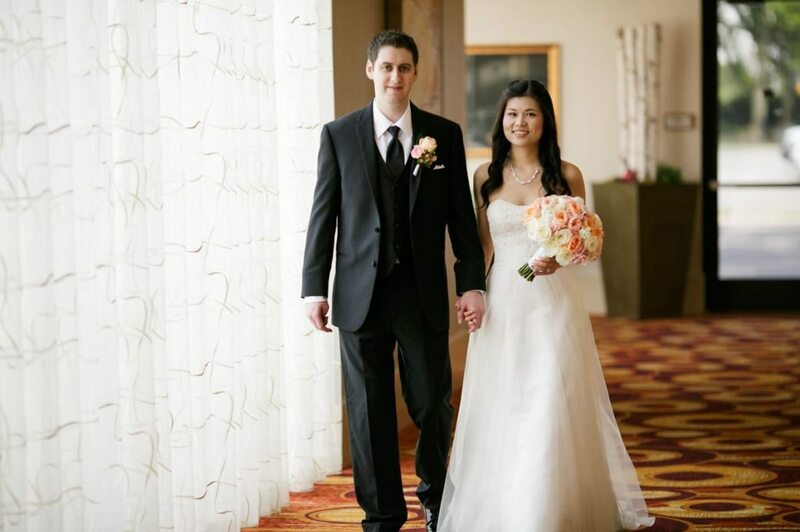 Feifei & Howie contacted me about a year before their wedding. 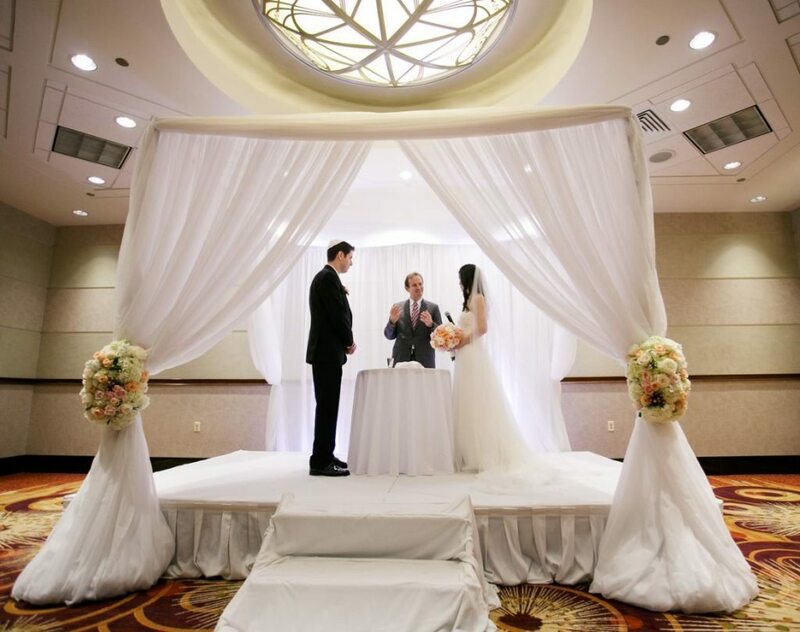 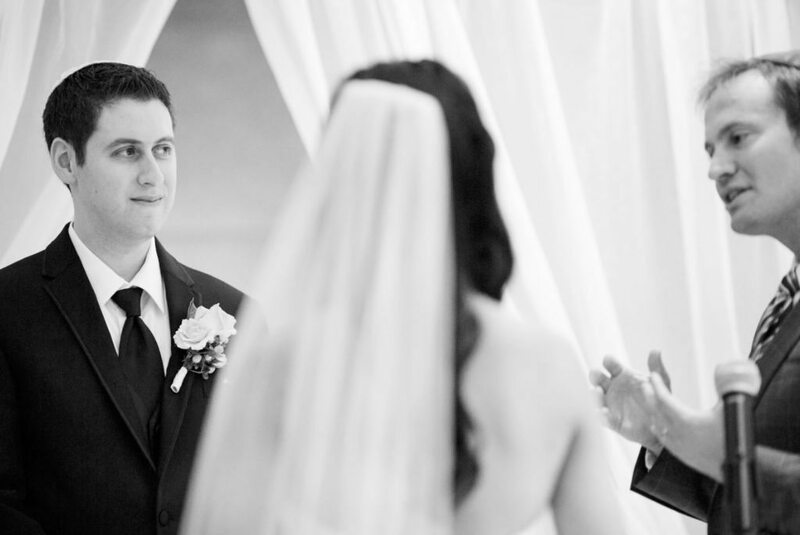 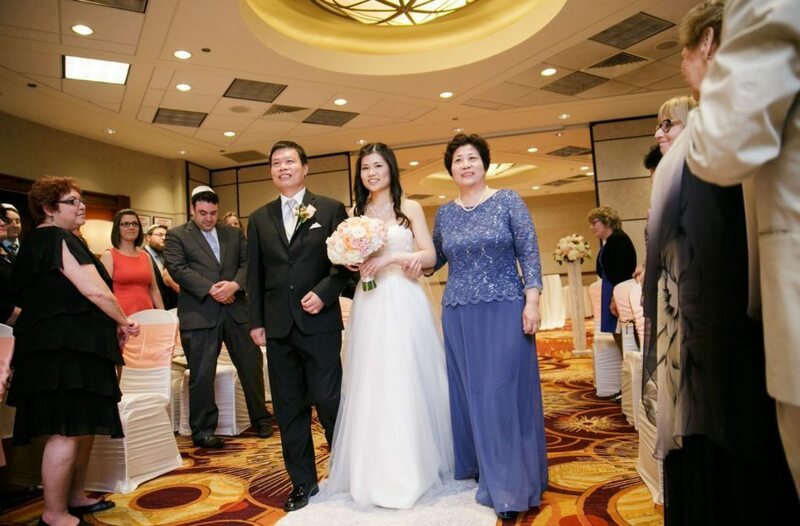 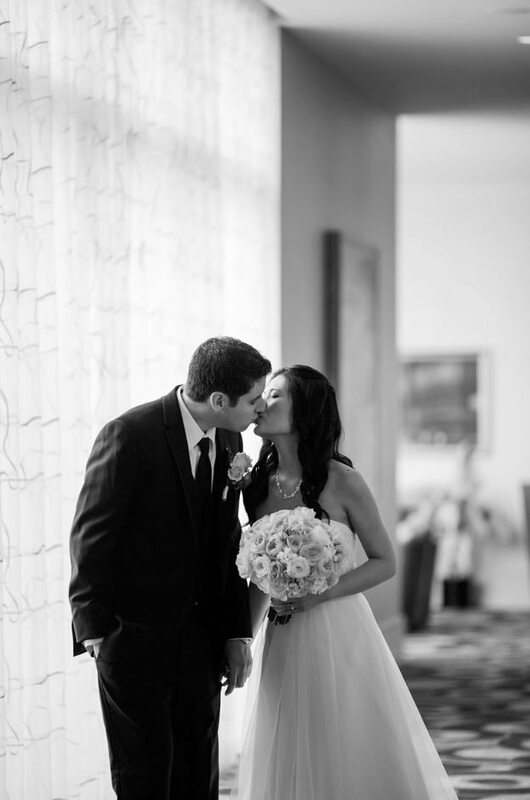 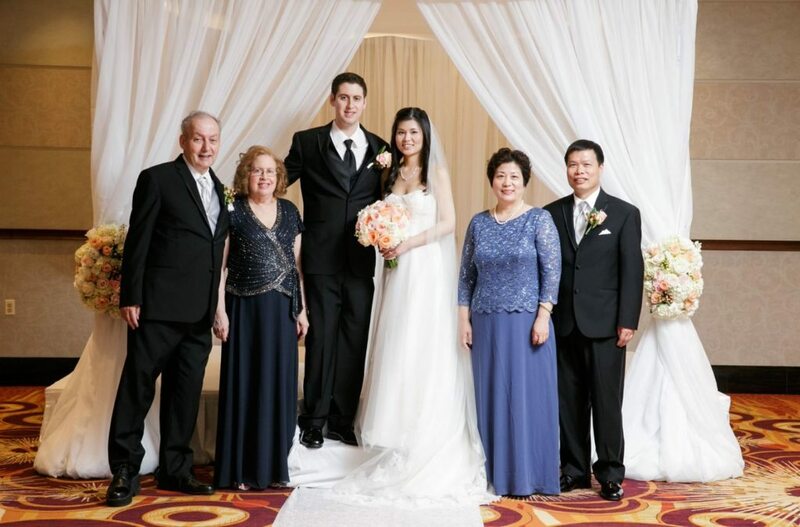 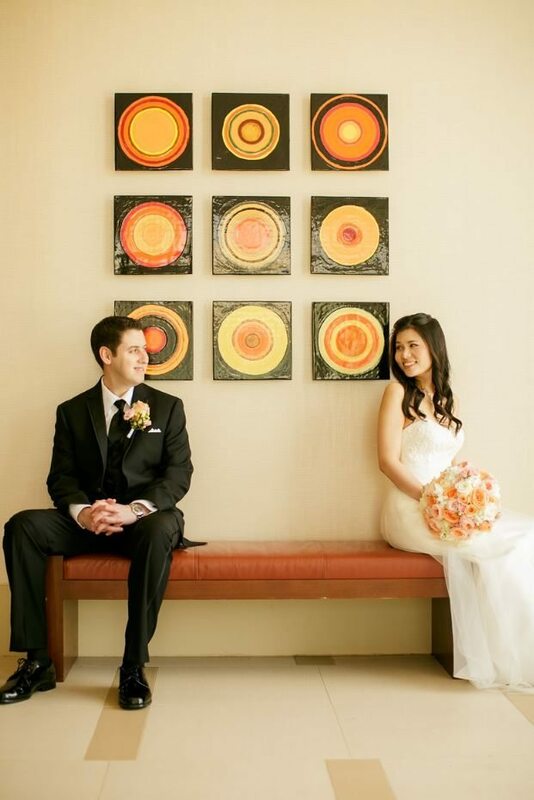 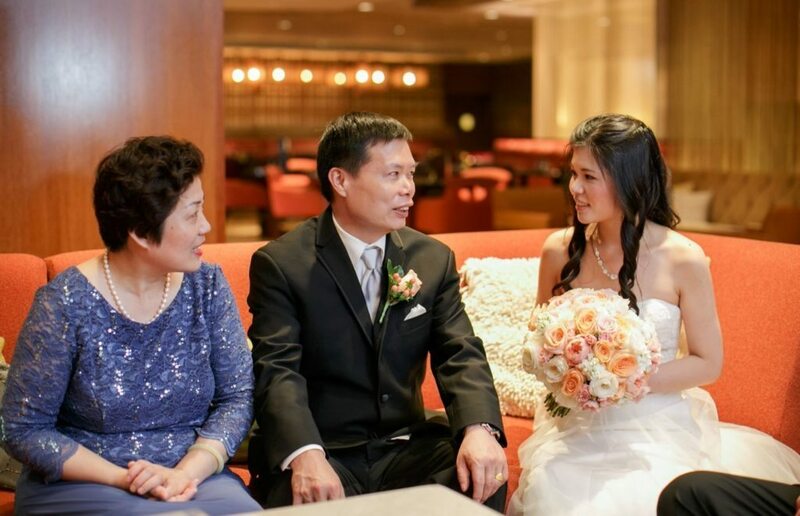 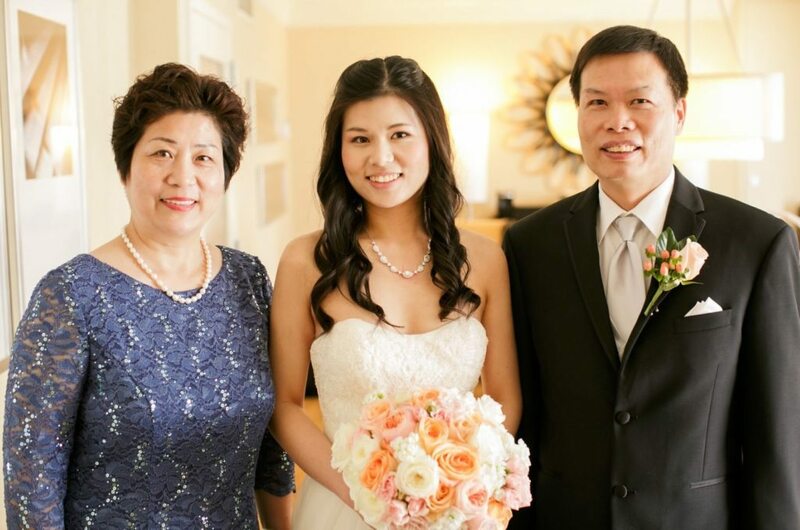 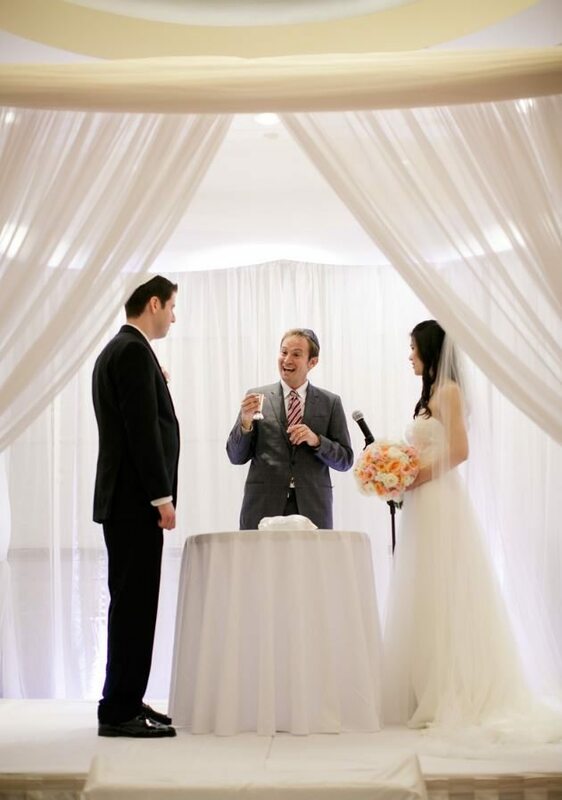 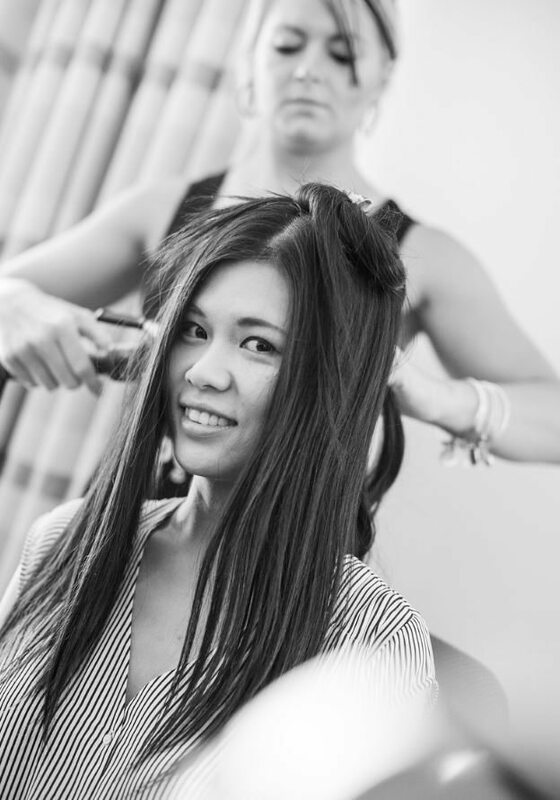 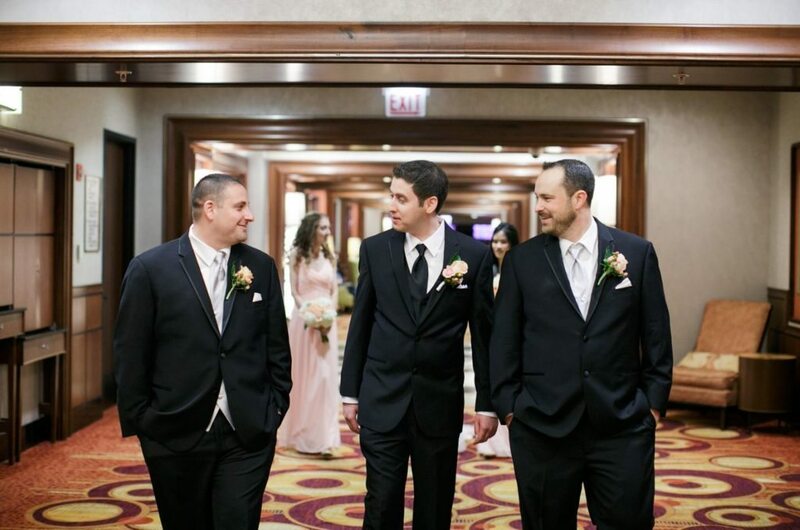 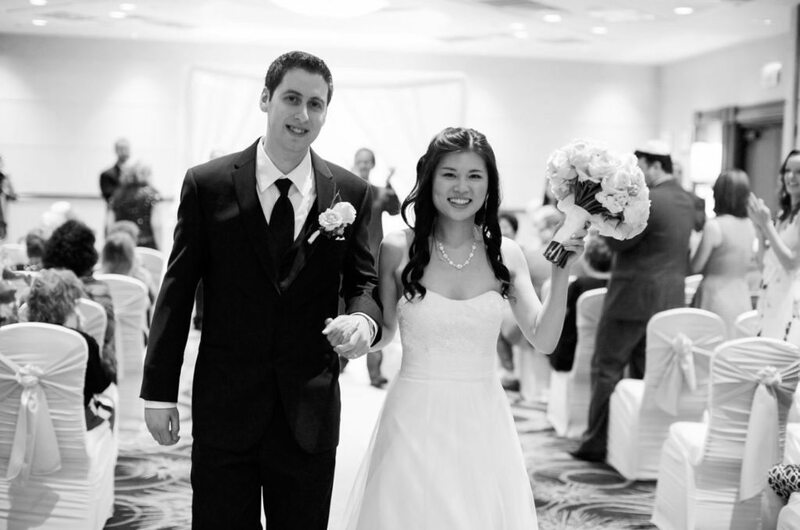 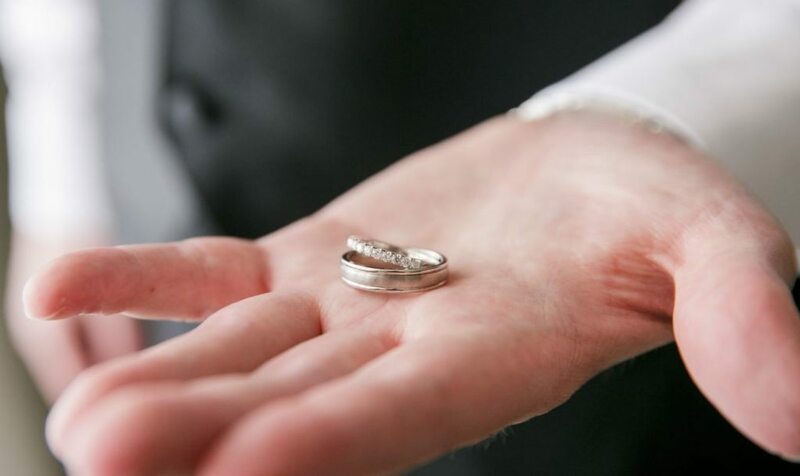 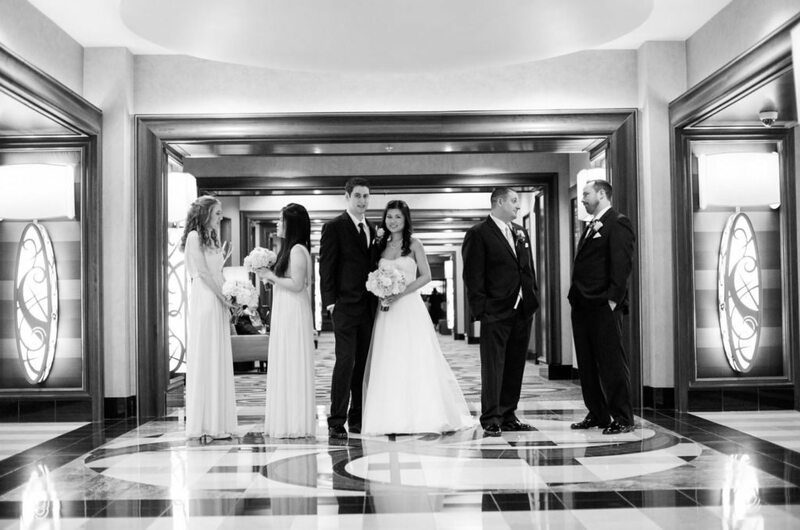 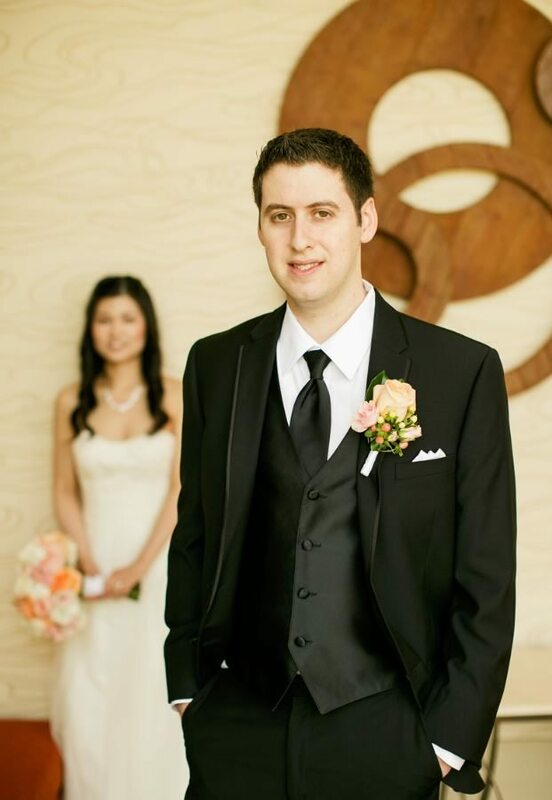 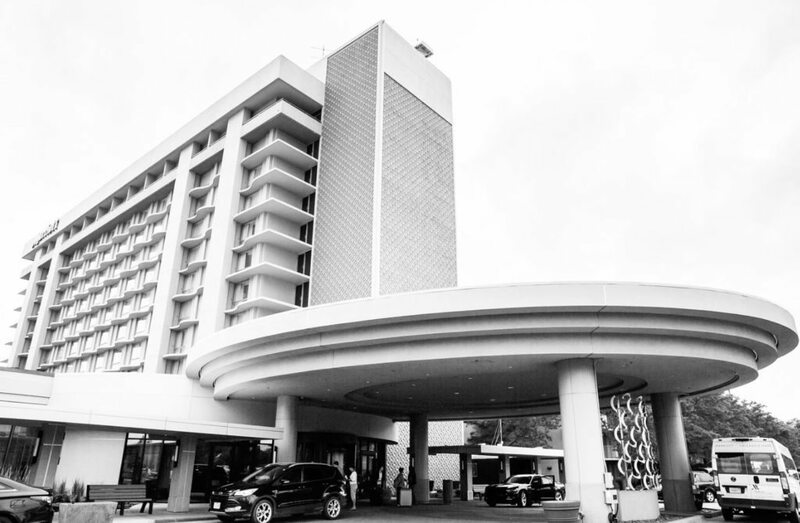 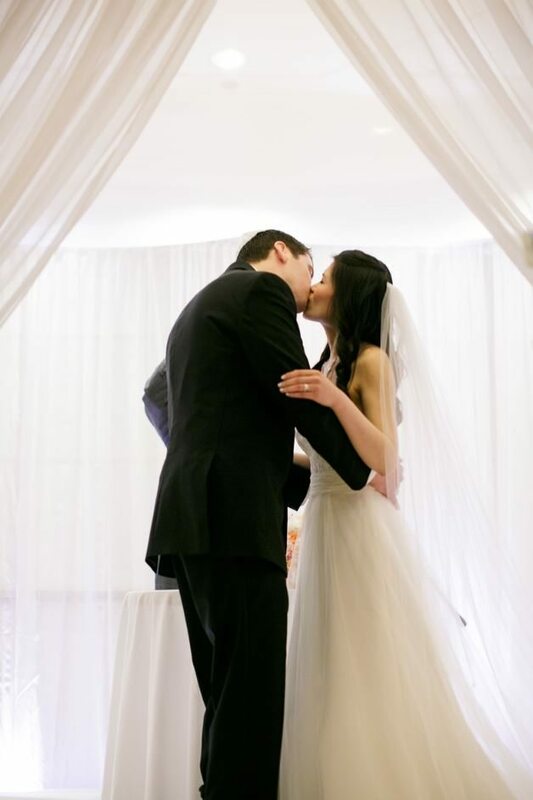 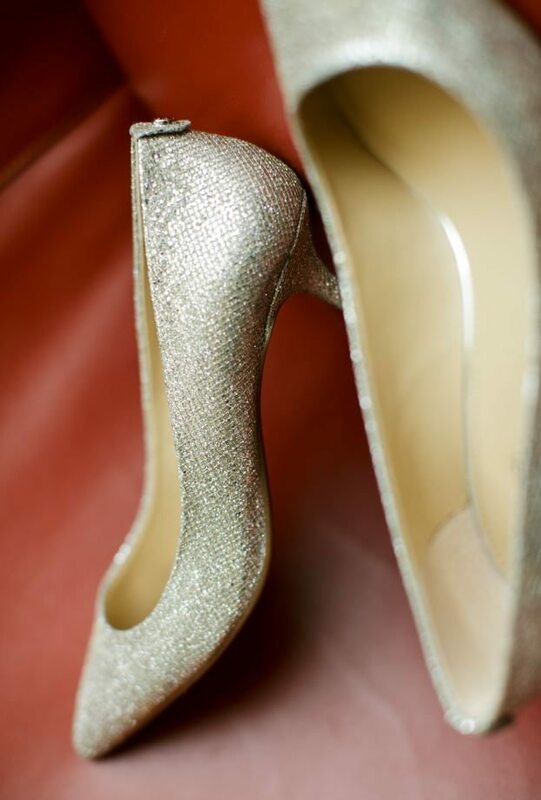 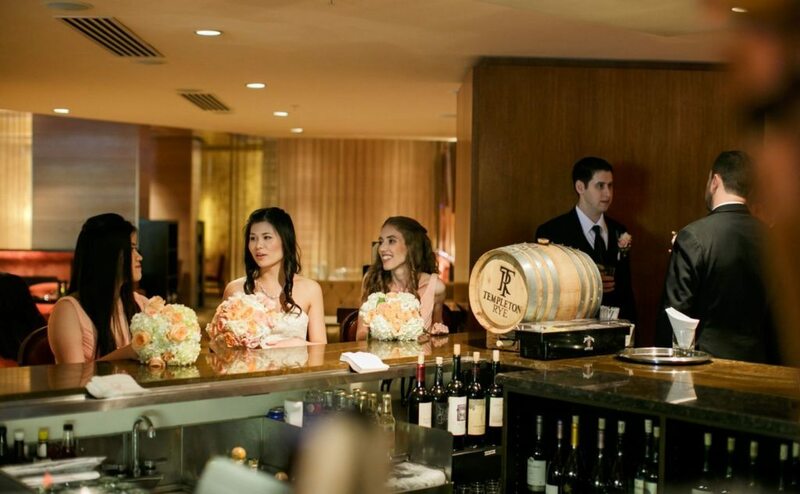 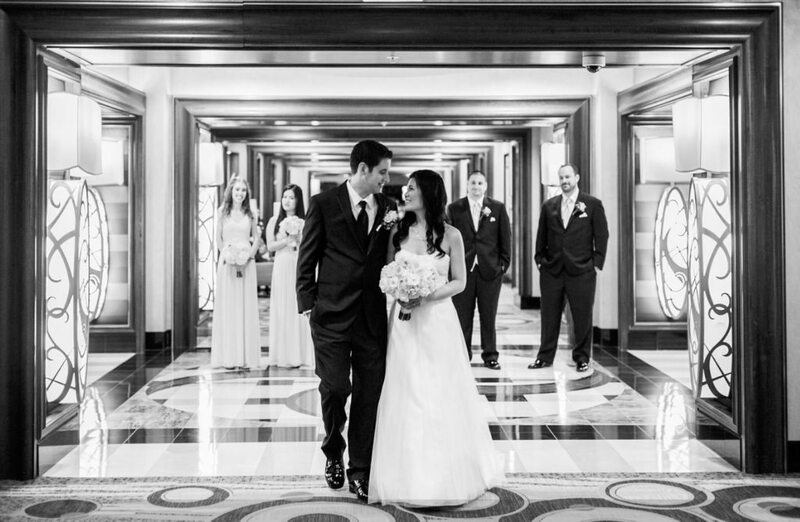 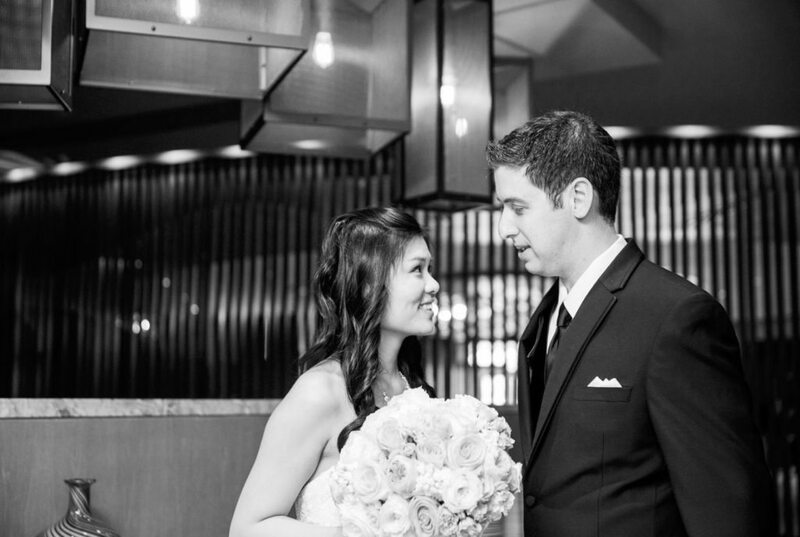 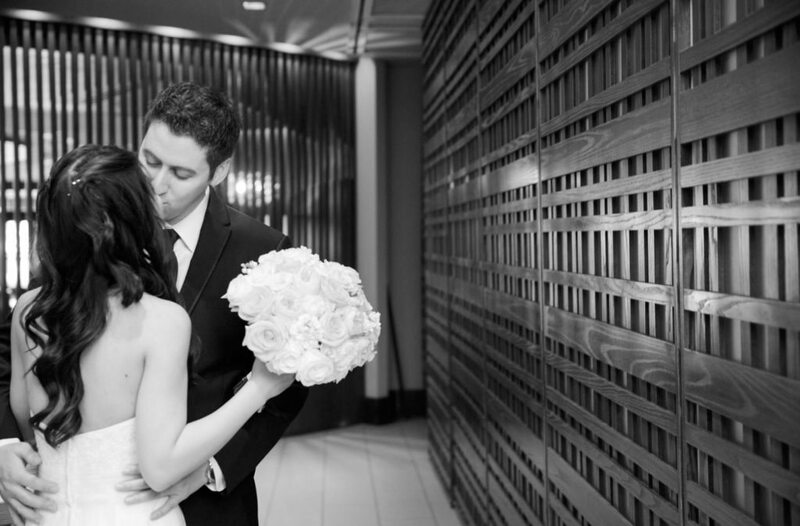 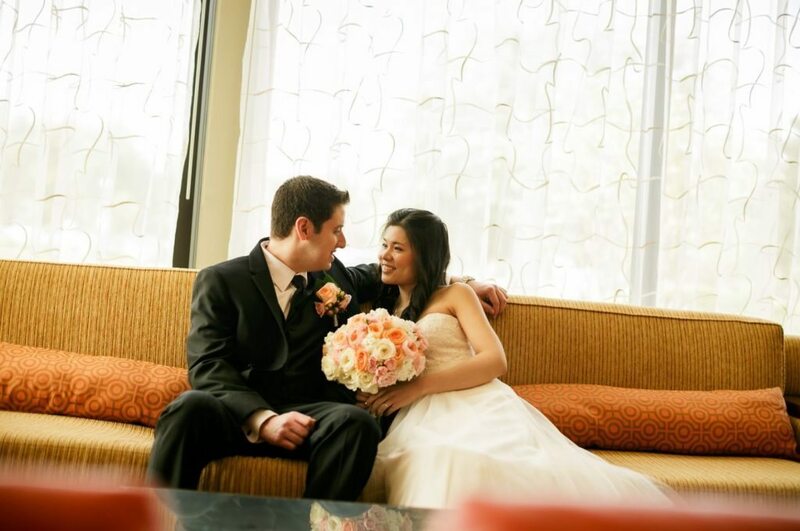 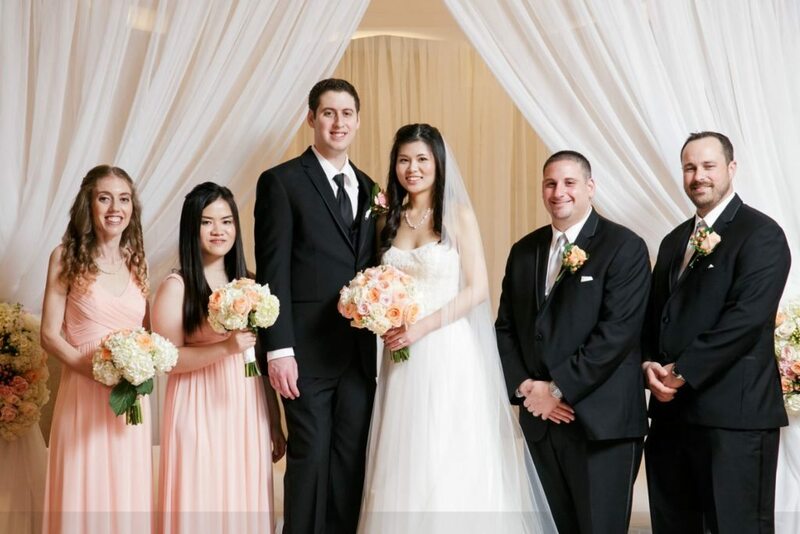 They were having a May wedding in a beautiful hotel located in Rosemont, IL. 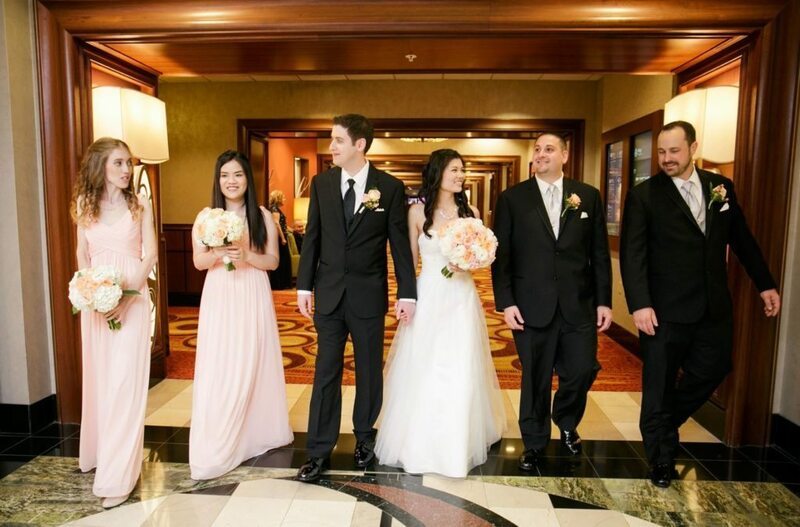 Their wedding was about 180 closest family and friends. 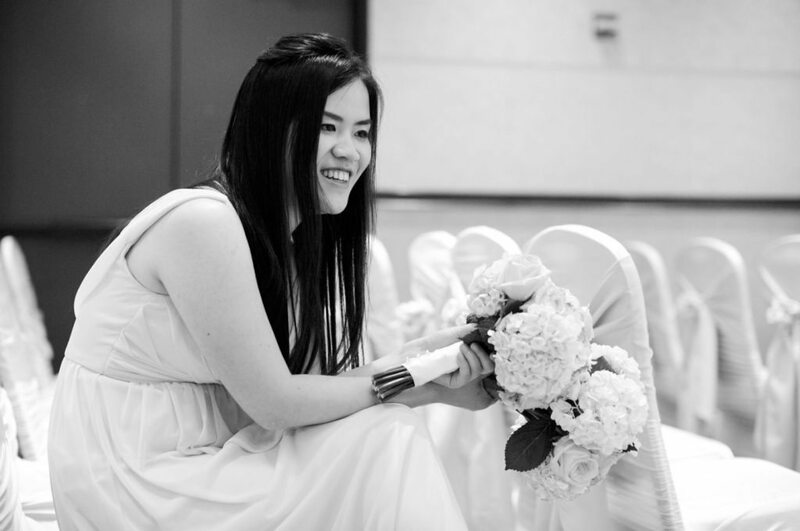 The weather that day was amazing and super-hot for the month of May. 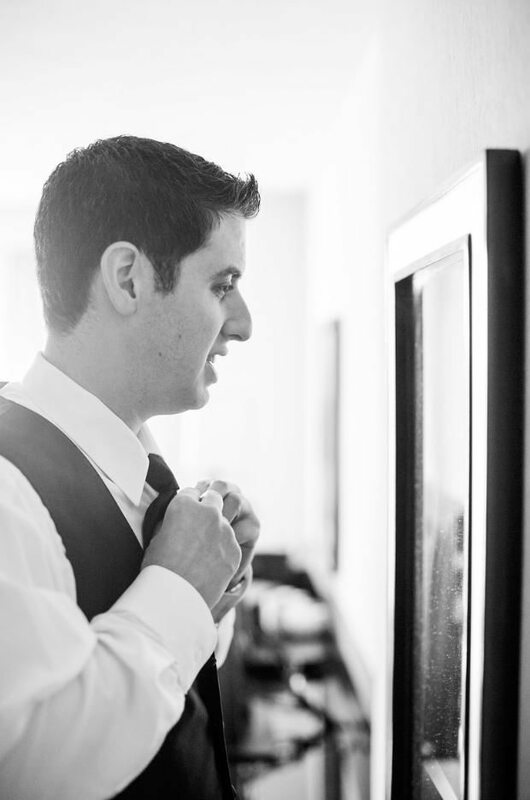 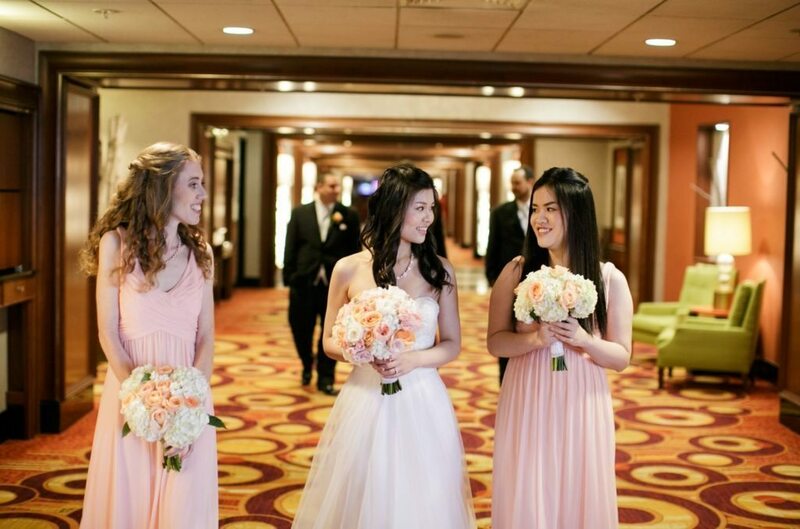 Bridal party flowers consisted of bouquets and boutonnieres. 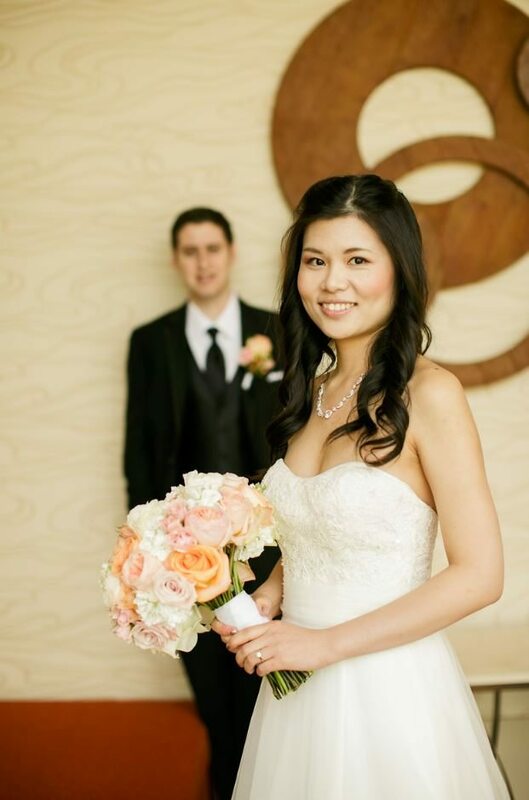 Feifei carried a gorgeous bouquet composed of roses, garden roses, stock, and spray roses. 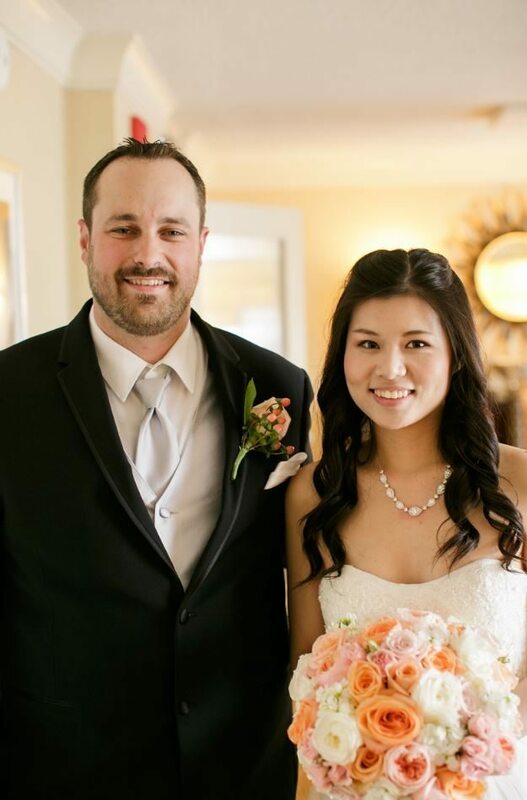 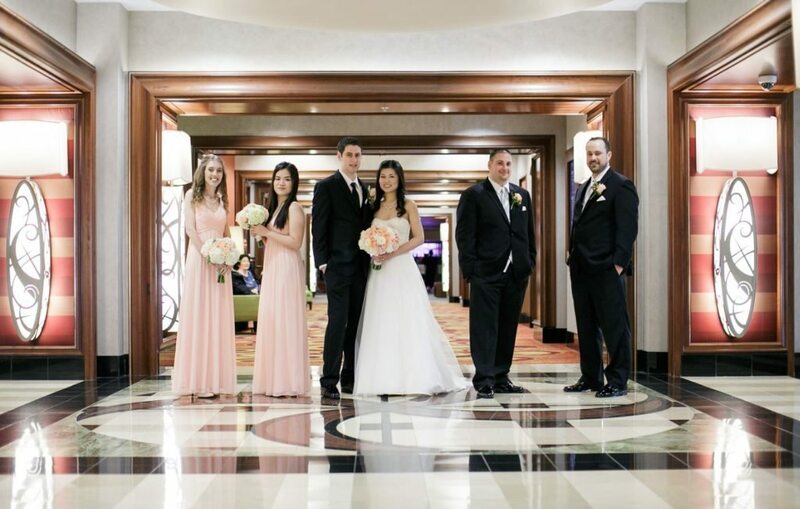 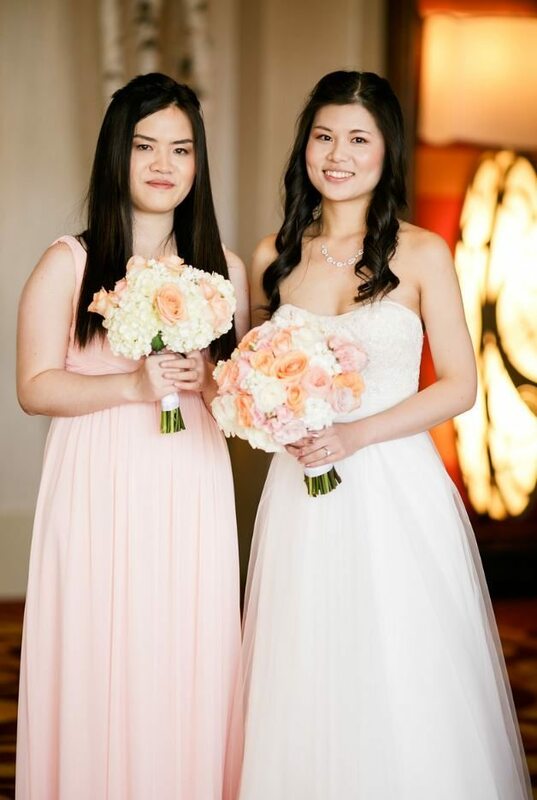 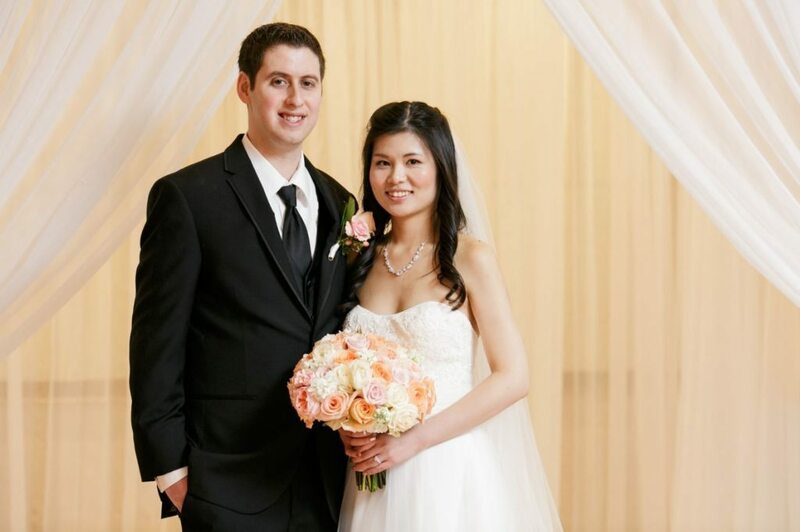 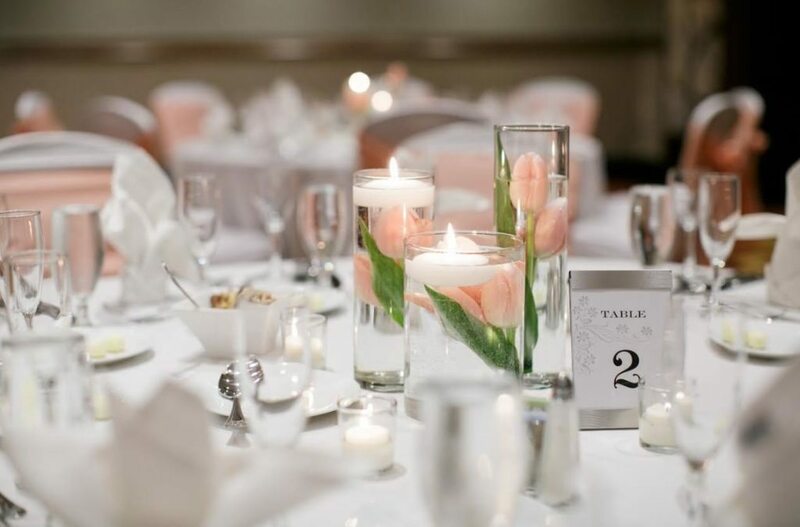 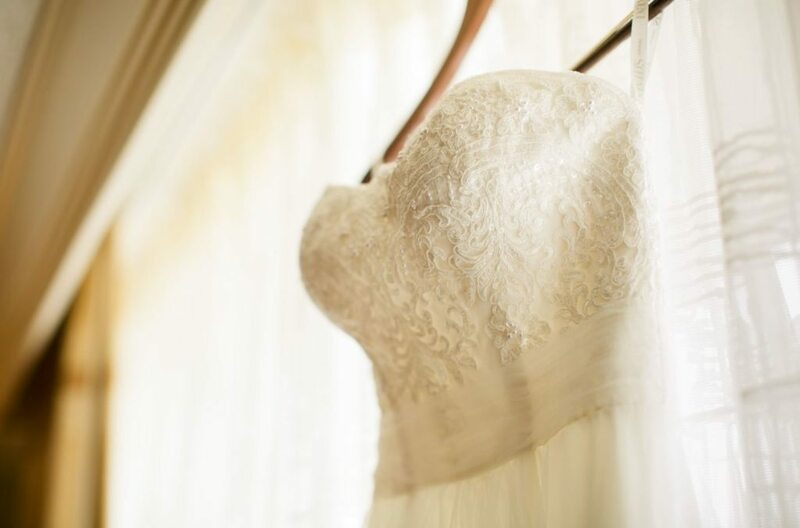 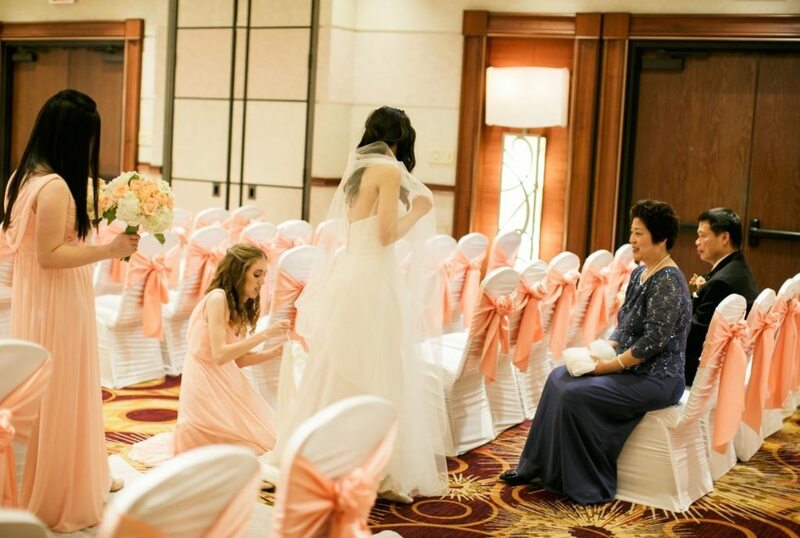 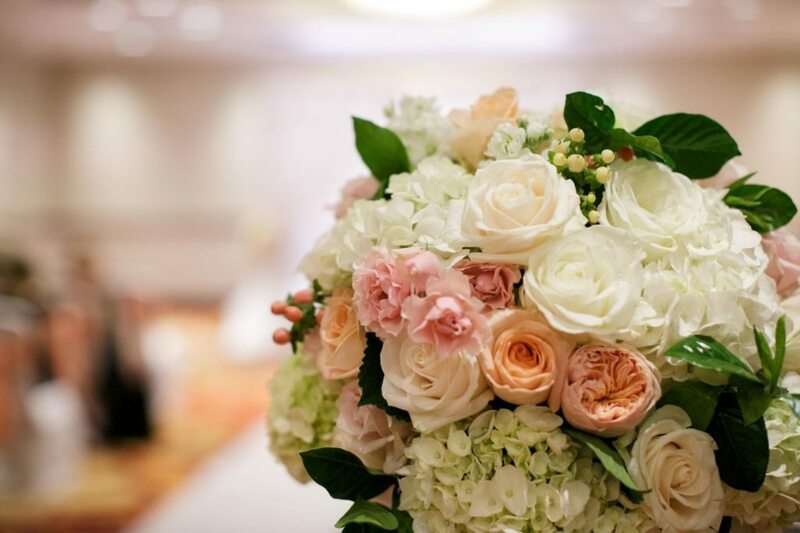 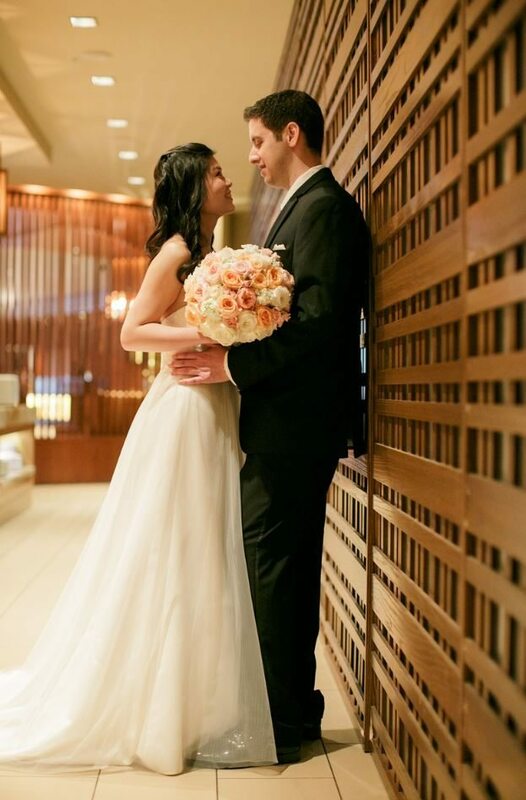 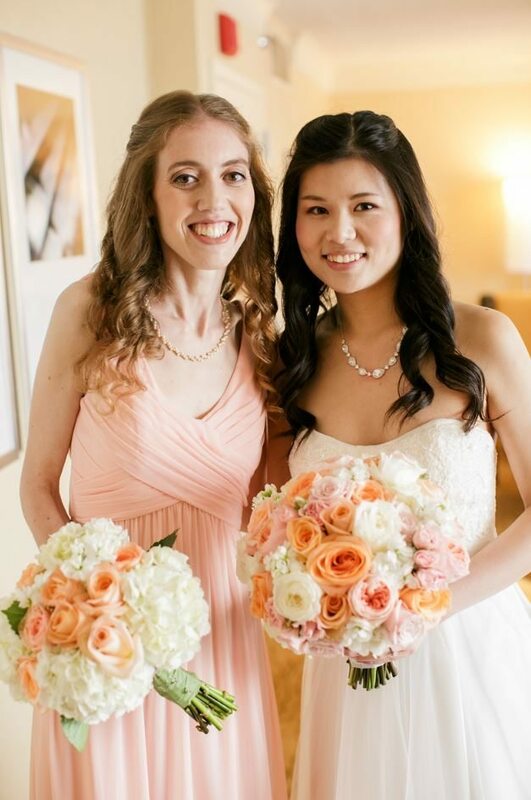 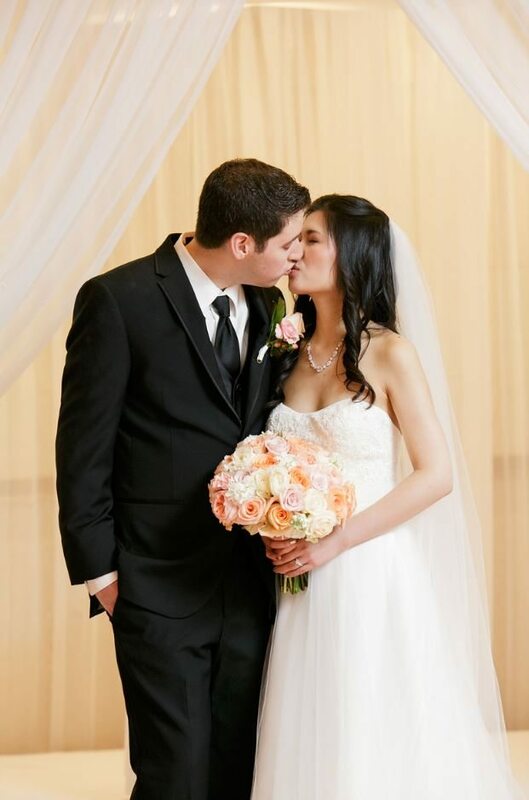 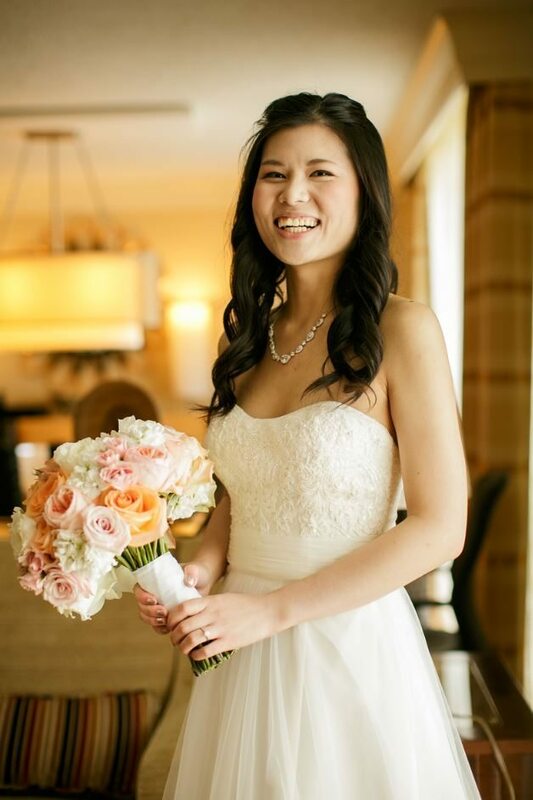 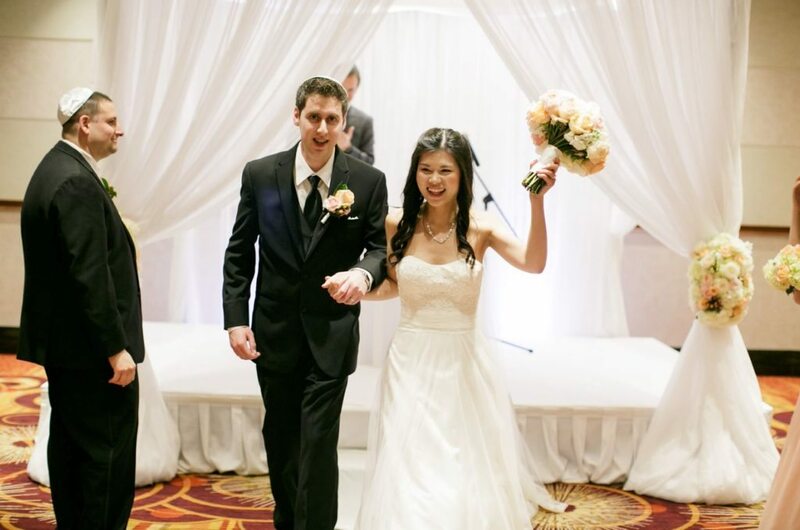 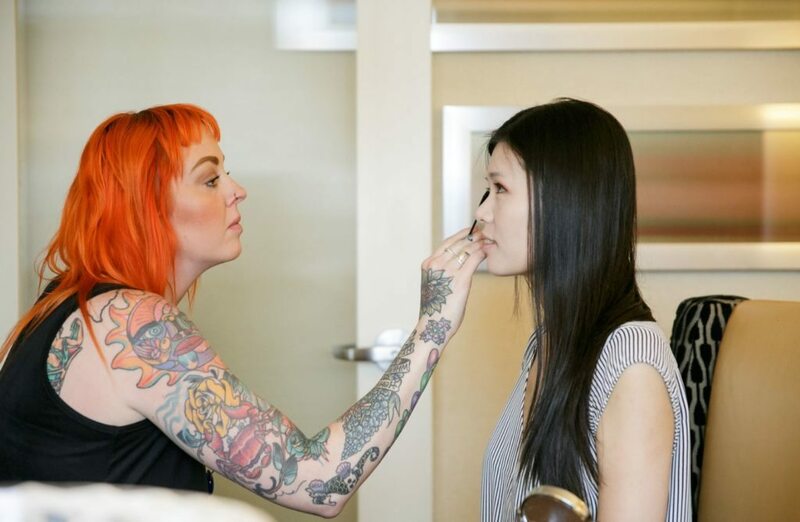 We carried out her wedding color scheme of mixing white, ivory, peach, and blush pinks. 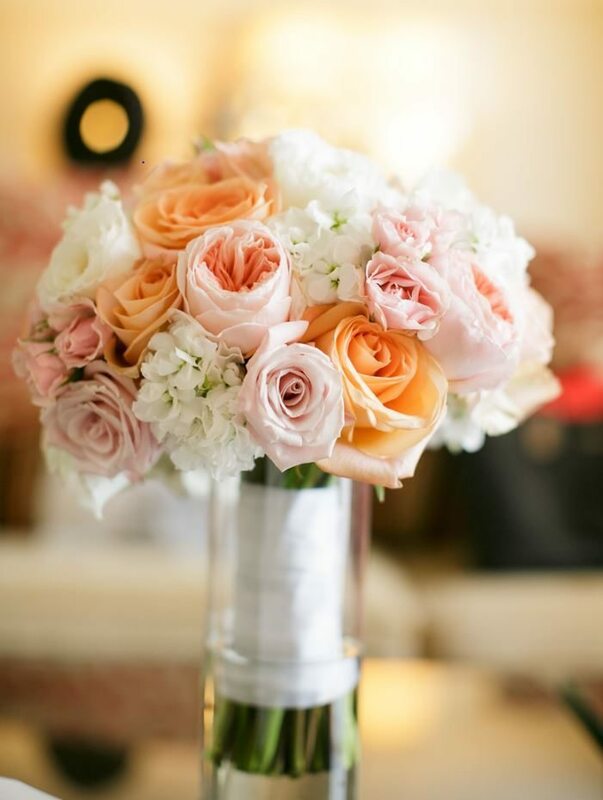 We added beautiful Juliet & Patience Garden roses that created a textured look and provided a high scent for the bouquet. 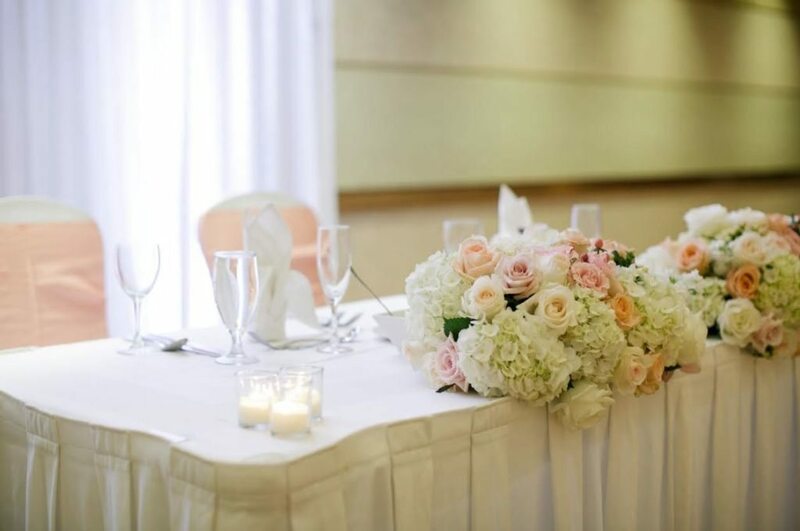 We completed the look by adding double satin white ribbon and pearl pin accents. 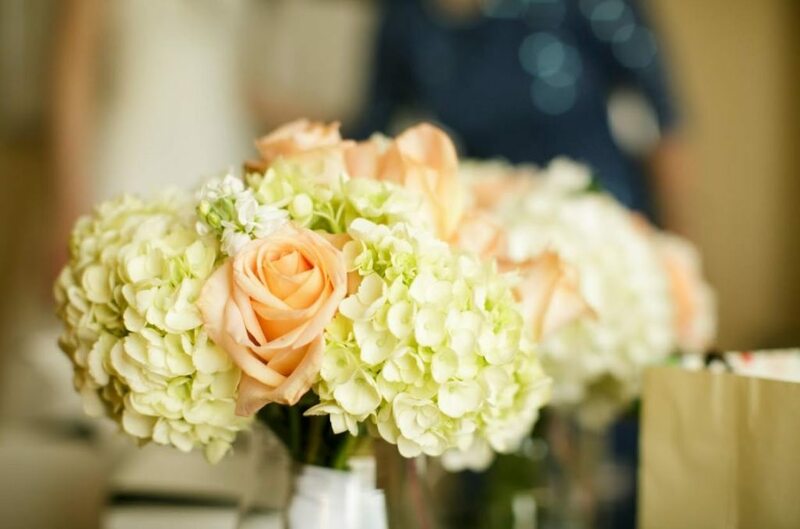 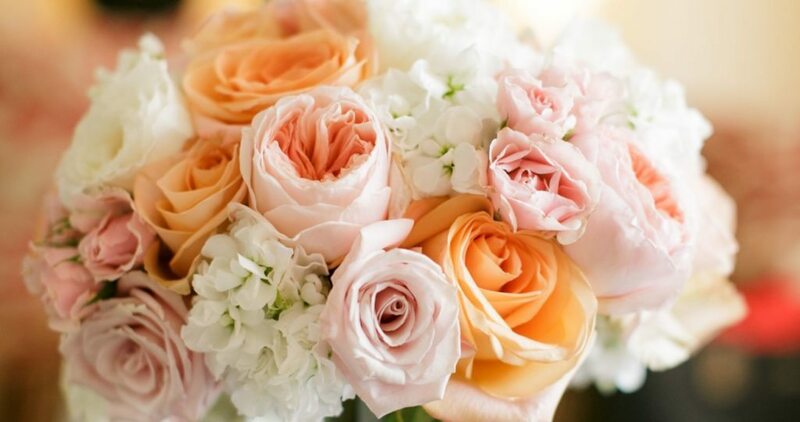 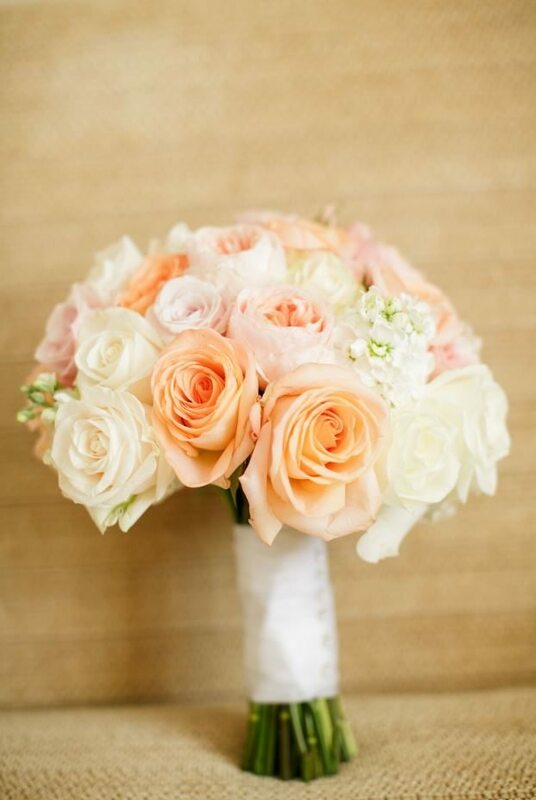 Bridesmaid bouquets were scaled down with white hydrangeas and roses, again in peach and blush pinks. 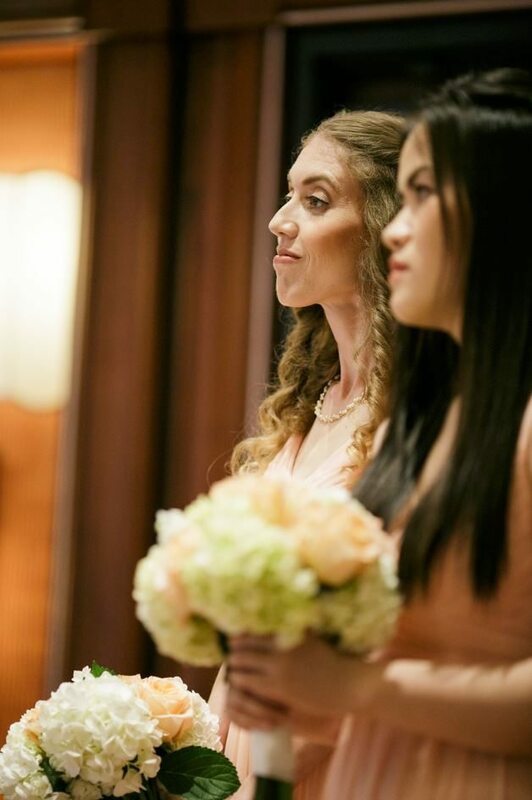 It complemented Feifei’s bouquet perfectly. 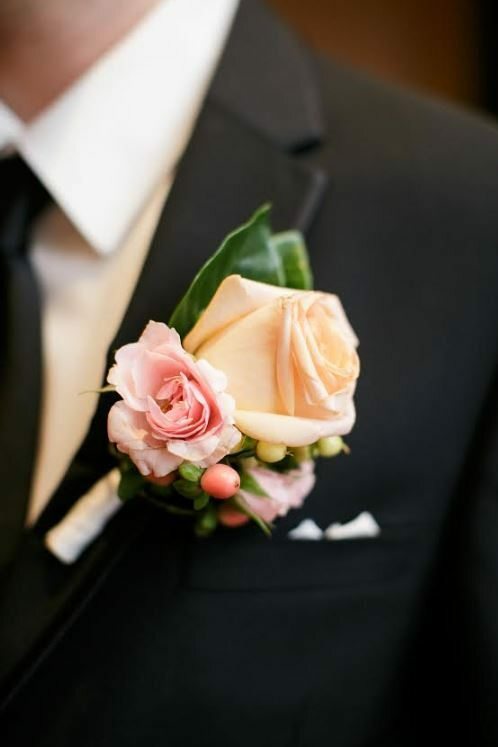 The Groom and the Groomsmen were styled with more traditional boutonnieres composed of Roses and greenery fillers.